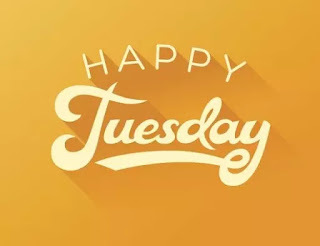 Start your day on a happy note with these happy Tuesday quotes and happy Tuesday images. I wish you a lovely Tuesday as you step out today. Brighten up your day with this Tuesday good morning post and images. We are committed to making your weekdays memorable. Hope you checked our Monday Good Morning Quotes yesterday? Do bookmark to check it up next Monday. Your Tuesday deserves to be fun-filled and exciting despite that it’s a workday. Get the best Tuesday quotes that will inspire and light up your mind to be more productive. Make your Tuesday memorable by going through these quotes that will motivate you. You can share on facebook as status or to a friend who is feeling down on this beautiful Tuesday. 1. Remind yourself of how strong you are every Tuesday by looking at those success stories around. You are still young if you have the desires to achieve. 2. I firmly believe that you won’t be dying tomorrow, so take charge of this Tuesday. Get the best adventure that you’d embarked today and get busy with yourself. 3. Every day is unique, Mondays come once, with loads of opportunities, same with Tuesdays. You have to make use of every available opportunity presented to you because opportunities come and go. Happy Tuesday. 4. Every day is blessed when you talk to God. Open up to him and bless this fantastic day. You will experience the blessing that comes afterward, and it will overwhelm you completely. Have an awesome day and a happy Tuesday. 5. Step out with confidence even if you feel that life is screw-ing you. Always remember but losers and achievers have the same 24hrs each, a day. Its how they manage their time that makes them. 6. Feeling down with your unfortunate story? Note that about 7 billion people existing on earth all have their ‘not-so-good’ story and yet many successful people still live. 7. First, believe that today will be good for you. You are one lucky person alive to see this Tuesday so act like you are fortunate. 8. Yesterday may not be perfect the way we want it, but never give up today. A single try may change everything. On this Tuesday, give it just one more try and thank yourself for it. Happy Tuesday. 9. The present matters a lot, dwelling in the past may consume you, dreaming too much of the future may overwhelm you, but when you could change your situation at this moment, you are sure to have a Happy Tuesday. 10. Nothing goes against you forever, even if the pace seems slow, never give up trying. You may succeed with another blow. Be cheerful as you start today and you will be happy as you end it. 11. Many people know what giving up seems like, but only a few perceives what not giving up bring. Yea, it brings success. Happiness accompanies success, and only a few have enjoyed this. 12. Tell yourself this “I am in charge of my life” and mean it when you say it. Say “yes” to happiness and remain committed to your decisions. Understand that your actions today mold the outcome of your tomorrow. 13. Do what you love and love what you do. See life from other views and never blame yourself too much on yesterday’s event. Be responsible for all your decisions and have a happy Tuesday. 14. Don’t dream alone. Here are is full 24hrs to actualize those big dreams. There is no right time to start working towards your dreams than now. Get your hands messy but don’t give up till you succeed. Be happy that its a bright Tuesday morning. 15. When you are too confident of being doubtful, too optimistic about being fearful and too determined to be defeated, you become unstoppable. A hero with a big “S” slapped on its chest. Always treat your self as a king; today isn’t coming back. Happy Tuesday. 16. Make today a remarkable day by doing little things that will bring you closer to your goals. 17. Failure may come on Monday, but never write Tuesday off. 18. You are a star, remember that always as you walk towards your goal. 19. Your Tuesday doesn’t need to be perfect; all you need is the right mindset. 20. Keep smiling; it will always be an awesome Tuesday. 21. You need to be up and doing today for the potentials of the day to be visible. Despite all ups and downs, you need two things, focus, and motivation. Stand up and be your best. Happy Tuesday. 22. Make use of all you have at the moment to create a difference in your life. It may not be perfect, but it’s sure to be different from not doing anything. 23. It’s going to be fine. If it doesn’t get fine, keep working for things to turn out fine. Always give yourself the reason why you should be successful today. It’s a Tuesday, the best day of the week. 24. Be grateful for a beautiful Tuesday like this. After a hectic Monday, what better gift should nature give us than a beautiful calm Tuesday? Happy Tuesday to you. 25. Look forward to Tuesdays because they are specially made to calm the stress of the new week. Look out the window and tell me if the sky isn’t bright enough. 26. We are products of our decisions so make a conscious decision to be positive all through this sunny Tuesday. Enjoy the goodness of this beautiful Tuesday. 27. You open doors to tremendous blessings when you start each day with happiness. There may be tasks to be accomplished and work to clear out but remember that a happy heart is a fulfilled person. 28. Welcome to the second day of work days. Take your time to make the best out of your assigned task because every good work done is a step closer to more significant achievements. 29. The keyword for today is ‘focus.’ Focus on your goals and the means to attain them. Work your well to the life of your dreams. Have a lovely Tuesday. 30. Tuesdays have its challenges. Look out for opportunities and make the best out of them. Don’t forget that every problem has a reward. Keep winning my dear. 31. It will be not only an awesome Tuesday but also a fulfilled week. Take one step at a time and believe in yourself. Success is just around the corner. Have an amazing Tuesday. 32. Maintain your simplicity and grow resilient to the difficulties of life. Keep harmony between your body and soul. Only when you do these, will your Tuesday be complete. 33. In the middle of difficulties remember how far you have gone to back down now. Tuesdays are about being healthy for the tasks ahead in this new week. 34. Don’t be in a hurry for today to end. Hurrying sieves out the beautiful things that accompanied the day. Enjoy every second of the day and be grateful you did. 35. When you continuously look for opportunities in dangerous situations, you will never worry if its Monday or Friday because you will be living a more focused life. 36. No matter the endless meetings and tedious projects, Tuesdays is a fantastic day because just like every other day, it comes with its blessings. Have a grace-filled day. 37. Develop perseverance in everything you do especially on a Tuesday. If you fall ninety-nine times, make an effort to raise the hundredth time. Have a great day. 38. When you never give up easily, it is hard to be beaten by life. You will be right ahead of experience and a superman to every challenge. Enjoy this amazing day. 39. Show how big your heart is by doing good things no matter how small it is. Every good thing we do doesn’t waste. They do come back to us. Happy Tuesday to you. 40. You work every day for a financial breakthrough but how much of your happiness have you worked for today? Never forget that fulfillment comes from joy. 41. When you work hard in whatever you do, you grow in heart and feel focused because, at that point in your life, you have passion and devotion to something worthwhile. 42. Anything is possible on a Tuesday. You can work for the future or nag about your yesterday. It’s all under your control to make a difference. Have an amazing Tuesday. 43. According to Thomas Jefferson, everything yields to diligence. Remember that every hard work pays in the long run. Have a great and productive day. 44. Open your heart to the day and expect big things in return because nature honors big hearts. Provide value to everything you do and have the world remember your name. 45. When you don’t take risks, you miss the chances you have 100 percent. Every effort you make has a reward either as a successor as an experience. 46. Live for something every day and be a person of value. When you stop living for something, you lose your value and thus fade away. Enjoy your valuable Tuesday. 47. Change your negative thoughts and change your world. We are always 90 percent of what we think and 10 percent of what you wish to be. Use your thoughts wisely. 48. When you can control your mind, you can control any day and any situation. Be the master of your mindset and every day will seem like your birthday. Have a wonderful Tuesday. 49. Tuesdays don’t have the feeling of Fridays, Saturdays, and Sundays but they sure have their awesome vibes. Enjoy the vibe that comes with this Tuesday and every other day. 50. Yeaaaa. It’s Tuesday already. It’s a sign that you have survived Monday and will survive every other day of the week. Have a beautiful day ahead. 51. See the opportunity in every event, and you will always have a fun-filled day. Be open to negativities and have a ruined day. Smile as much as you can and remember its a beautiful Tuesday morning. 52. Spread peace as you go out. Make every moment a memorable one to remember because we don’t remember days; we only remember moments that make or breaks us. 53. What you do at every point in time can put a smile on someone’s face or remove completely, happiness from the person’s heart. Wear your prettiest smile because it will be a great Tuesday. Have a happy Tuesday friend. 54. Tuesdays are days after Mondays. These means Tuesday is a special moment in the week designed to ease the rush of the previous day, relax your worries and be happy. Have a happy Tuesday dear. 55. You are a success when you think and work towards success. Develop a new approach to your problems, and they will stop being problems then become challenges that you will eventually overcome.